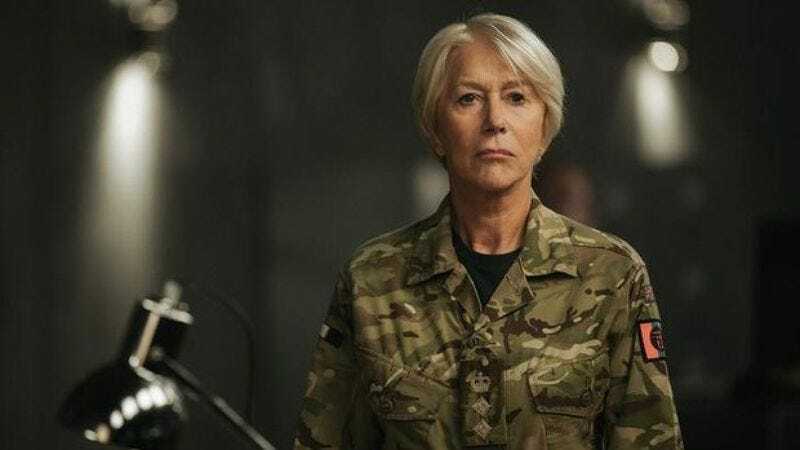 According to Deadline, fancy British lady Helen Mirren is “finalizing a deal” to star in a movie about a crazy American house. Mirren will be playing Sarah Winchester, the widow of rifle magnate William Winchester and heiress to his swimming pool full of gun money. Of course, Sarah Winchester didn’t just sit on that cash, she used it to build a house that’s so bananas it inspired a century of spooky stories and tourist-friendly tales. Known today as the Winchester Mystery House, the legends say that Winchester had workers build it continuously for 38 years in order to confuse the ghosts that were haunting her over her husband’s bloody legacy. The work stopped when she died in 1922, but by that point it had grown to 24,000 square feet and 160 rooms, complete with doors to nowhere, bottomless stairways, and decoy bathrooms so ghosts wouldn’t know which ones to do their ghostly business in.